The less dust there’s in the house, the more cheerful and healthy the people are. Unfortunately, it’s not so easy to get rid of it. WeGoRo has found for you several pieces of advice which will help to cope with the dust more quickly and efficiently. By the way, they’re cheap and simple! To get rid of dust, crumbs, and stains on the keyboard, all you need to do is shake it all off and wipe the keyboard. The result is great. Just make sure your laptop is off. To get rid of dust on surfaces and make the effect last longer, you can prepare a special solution. Take 1 part fabric softener and 4 parts water. Pour the mixture into a sprayer and clean everything you want when necessary, even mirrors, glass tables, and showers. It’s also a good thing for your laptop or TV screen. A pair of common fabric gloves for housework can help you to clean delicate surfaces. For example, you can easily clean a chandelier, lamps, glass accessories, and statuettes. The fabric collects dust, and cleaning becomes much easier. If you want to clean some hard-to-reach places, brushes with natural bristles can make it easier for you. For example, you can use them to clean furniture accessories. If you put a clean old sock on your hand, you can quickly clean the window blinds. And if you put it on a mop, it’ll be easier to get rid of dust under beds and furniture. This is a super necessary thing for cleaning. If you replace a nozzle with a paper tube, you can clean even the hardest-to-reach places. The cardboard bends, so you can change its form and clean all you need. It’s much more comfortable than using a flat seam nozzle. To avoid dust falling from one surface to another, wipe from the top down. If you do this, the cleaning will take less effort and time. For example, dust ceiling fans first, then moldings, then upper parts of doors, and then a night stand. To avoid dust accumulation in big quantities, it’s often enough to maintain the balance of humidity at about 40-50%. You can buy special measuring instruments and humidifiers to help with this. To prevent the dust accumulating so quickly, and at the same time make cleaning simpler, you’d better throw out most of the souvenirs and trinkets you have at home. The less you have, the cleaner the house is. And if you have a collection of statuettes, it’s better to keep them behind the glass doors of a showcase. We always forget about curtains, even though they’re literally covered with dust (especially if they’re synthetic). It’s better to get them to the dry cleaners once a year and vacuum them twice a month with a clean nozzle. If you don’t want to dust everything constantly, you’ll have to get used to closed windows. Of course, it’s useful to air the apartment several times a day, but don’t keep the windows open day and night if you want to avoid dust accumulation. House plants are the lungs of your apartment, which help you to cope with dust. 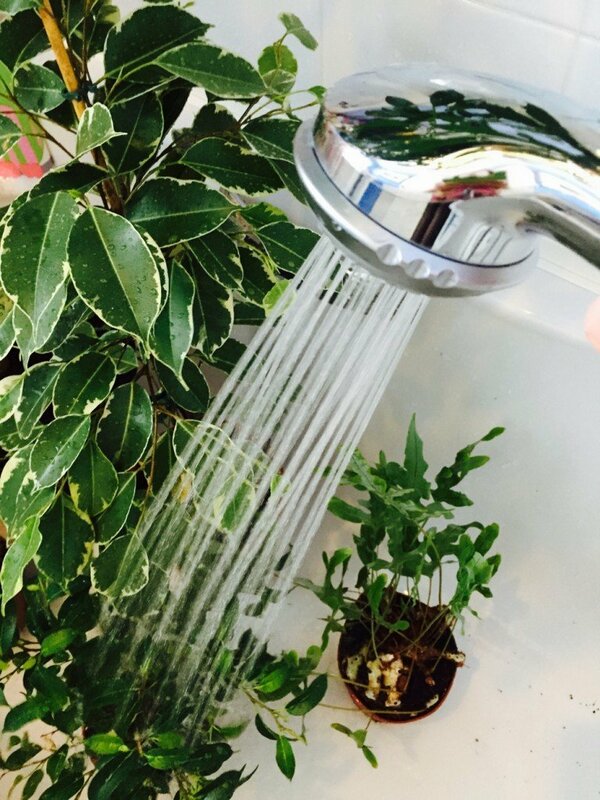 If you regularly wash all the plants in the bathroom, they’ll be more effective at cleaning the air. The less carpets you have, the cleaner your house is. If you want to lay a carpet in a child’s room, keep it small and natural (synthetic fabric collects dust). Vacuum it once a week, and steam clean once a month. This won’t let the dust accumulate in the deepest layers of the fabric, and the carpet will be safe even for a baby. A roller with an adhesive surface copes with cleaning lampshades, decorative pillows, and other fabric surfaces. If you do wet cleaning frequently, the house will look much tidier, and the air will be pleasant to breathe. Water removes 90% of dust. 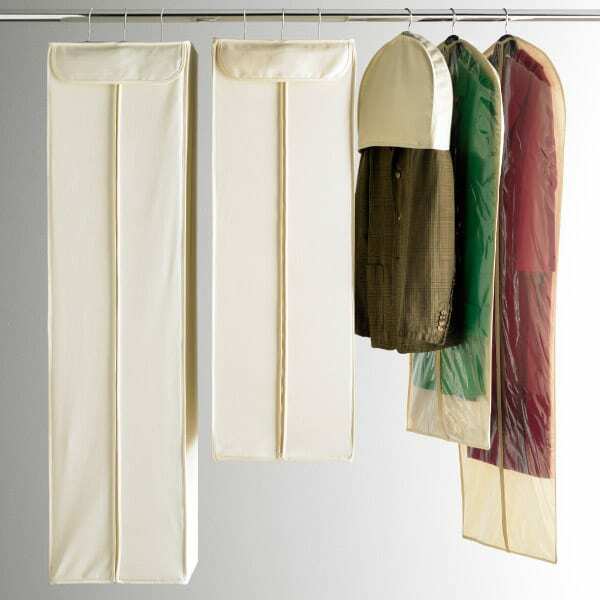 If you have to choose between dry and wet cleaning, choose the second method. It’s important to mop the walls and ceiling once every few months to prevent dust accumulation. Clothing, blankets, pillows for guests, woolen blankets — all of this is a major source of dust in the house. To minimize the amount of dust, keep such things in special cases or bags. You can remove dust from bulbs using alcohol. Just wipe them with a soaked cloth, and let them dry. You’ll see the difference. It’s not recommended to apply polish, wax, or paste directly onto furniture or other wooden surfaces that you need to remove dust from. If you do so, the dust will accumulate faster. So it’s better to apply all these cleaning products on a cloth. 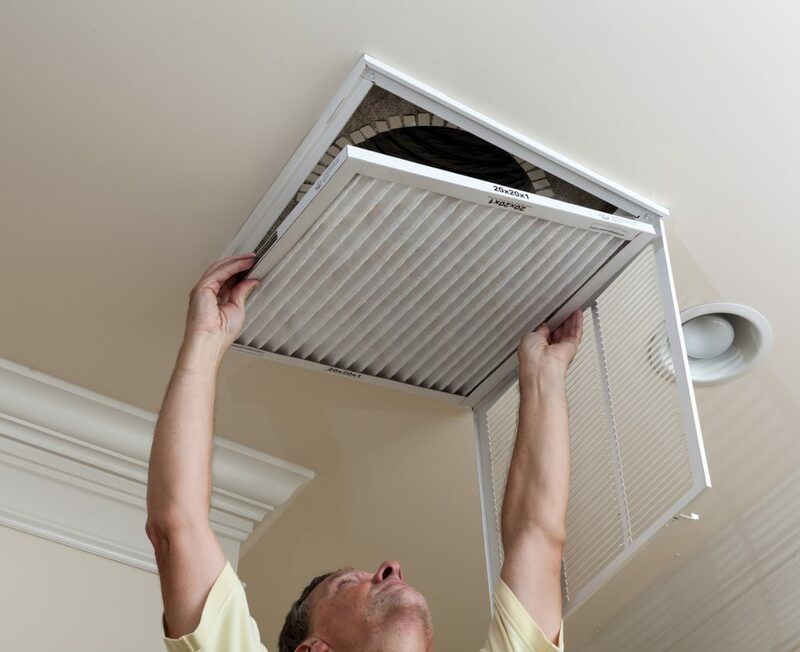 The less frequently you clean the filters, the more dust you have in the house. If you use vacuum cleaners and ventilation systems with dirty filters, they’ll send dust back into the air, which will accumulate on surfaces. If you want to avoid it, clean the filters according to the maker’s instructions. A good microfiber cloth can work magic. It not only collects the dust from surfaces, it doesn’t let small particles into the air again. You can use this cloth for any surface, from floor to ceiling. Use an elastic band to attach it to a mop.